The name is Bond .... James Bond and he is licensed to thrill since he first appeared on the big screen in Dr. No (1962). What can you really say about a fictional character who is introduced to us on film through the view of a gun barrel !!! .... and a musical theme that is dramatic dangerous and full of suspense ! .... No matter your level of Cinephilia (passionate interest in cinema) ... there is hardly anyone living on this planet (who has access to electricity) .... who has never heard of James Bond, 007, licensed to kill super spy .... or cannot recognize the distinctive tune that announces a Bond moment ! 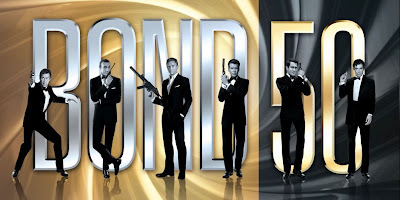 This year is the 50th anniversary of the movie franchise, based on the fictional character created by British journalist and novelist Ian Fleming in 1953. Skyfall is the twenty-third spy film in the Eon Productions, James Bond series, produced for MGM, Columbia Pictures and Sony Pictures Entertainment. 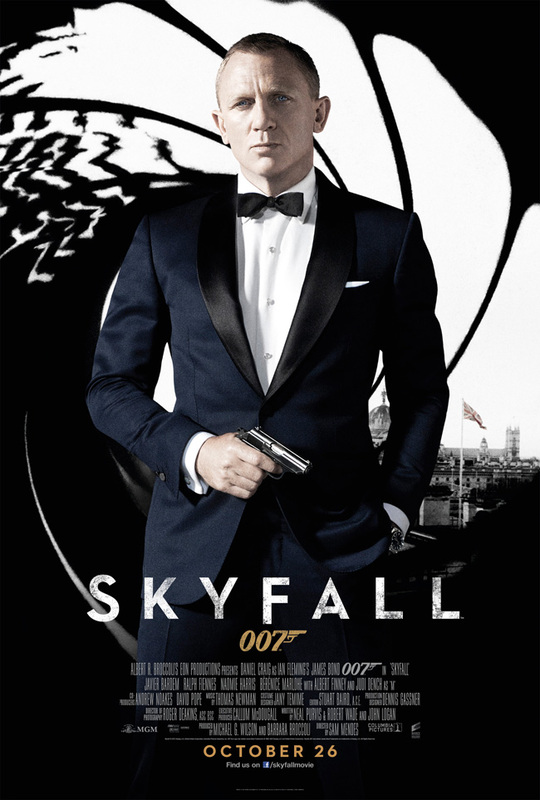 Skyfall starring Daniel Craig (the first blonde 007) premiered on 23 October 2012,and is set to be released in the United Kingdom today on 26 October 2012. 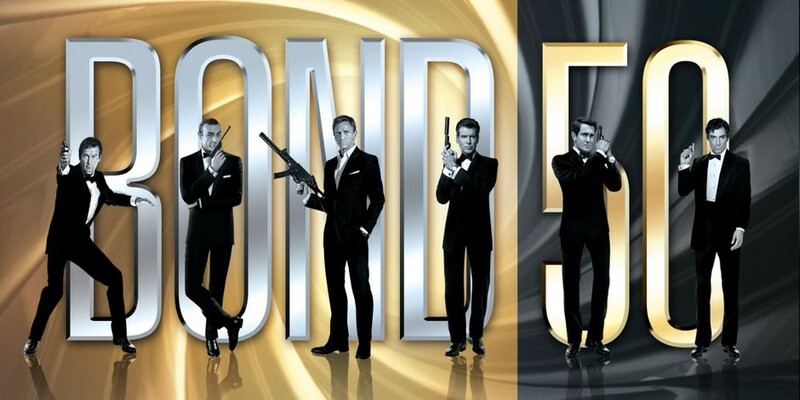 The film's release will coincide with the 50th anniversary of the series, which began with Dr. No in 1962. The India release is slated for 1 November 2012 and the first reviews of the premiere has already annointed it the best Bond film ever !! Agent/Spy Name : Agent 007 ( As far back as Elizabethan times, the 00 symbol resembling a pair of eyes ... on a document ... signified it was top secret. It meant ‘For your eyes only’. A double O prefix was also used by the German intelligence service during World War 1. "00" (Double Oh) designation are given to the agents in the James Bond series who are licensed to kill; Bond himself is famously agent 007. 007 : License to kill is a literary device used in espionage fiction. It refers to the official sanction by a government or government agency ... to a particular operative or employee ... where it is signified by the "00" (Double Oh) designation .. to initiate the use of lethal force in the delivery of their objectives. Mandatory retirement age from the 00 section is 45, James Bond was 38 when he got his License to Kill. Language : holds a degree in Oriental languages, is fluent in English, French, German, Italian, and Russian, and can get by with passable Greek, Spanish, Chinese, and Japanese. Favourite Alcohol brand : Smirnoff Vodka (Bond picked up the habit from a time in Moscow, of dropping a pinch of black pepper on the surface of the drink, that sinks to the bottom taking the impurities with it) Though in the latest Bond film Skyfall, Daniel Craig will be seen drinking Heineken beer ! Favourite Cigarette : custom-made by Morland of Grosvenor Street, London ... mixing Balkan and Turkish tobacco and having a higher nicotine content than normal ... the cigarettes have three gold bands on the filter to mirror his naval Commander's rank. 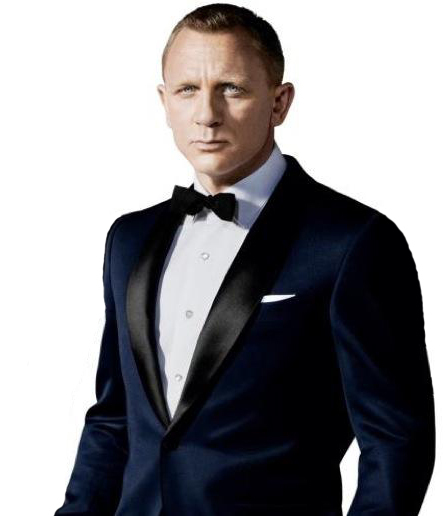 Favourite Outfit : Tuxedo and White Shirt, present preference in Skyfall, tightly cut Tom Ford suits which are sinfully hot !! !